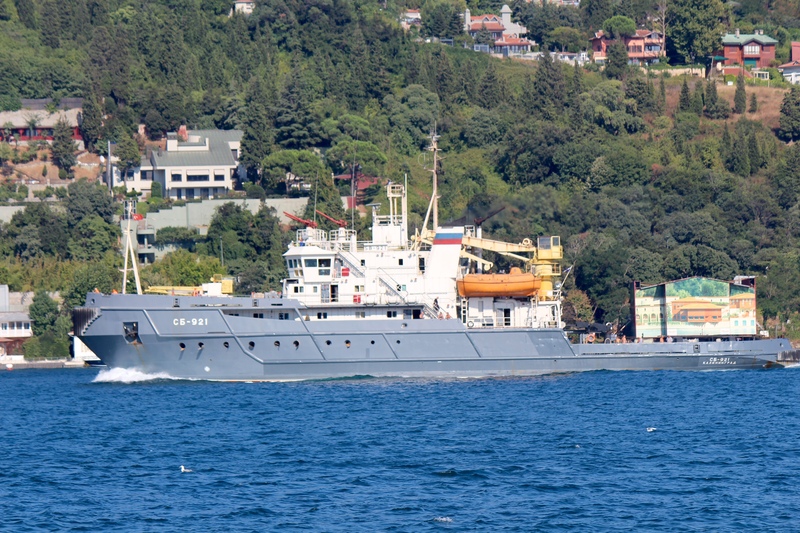 Russian tug SB-921 Paradox making her northbound passage though Istanbul. Photo: Yörük Işık. Used with permission. Russia’s gift to Egypt, the corvette R-32 being towed by the tug Paradox back to Russia. 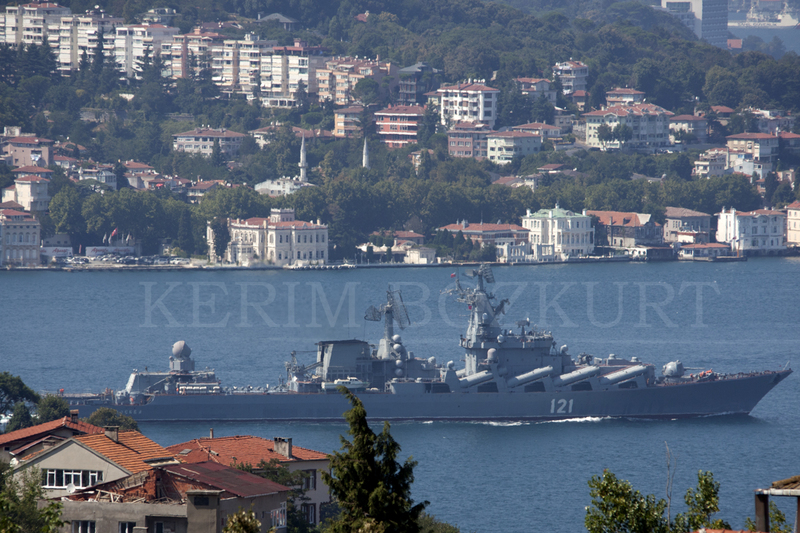 The Nanuchka class corvette Mizrah passing through Istanbul. She is returning from her Mediterranean deployment. Photo: Kerim Bozkurt. Used with permission. The Nanuchka class corvette Mizrah passing through Istanbul. She was escorted by Turkish Coast Guard craft TCSG-12 Photo: Kerim Bozkurt. Used with permission. The Nanuchka class corvette Mizrah passing through Istanbul. Photo: Yörük Işık. Used with permission. 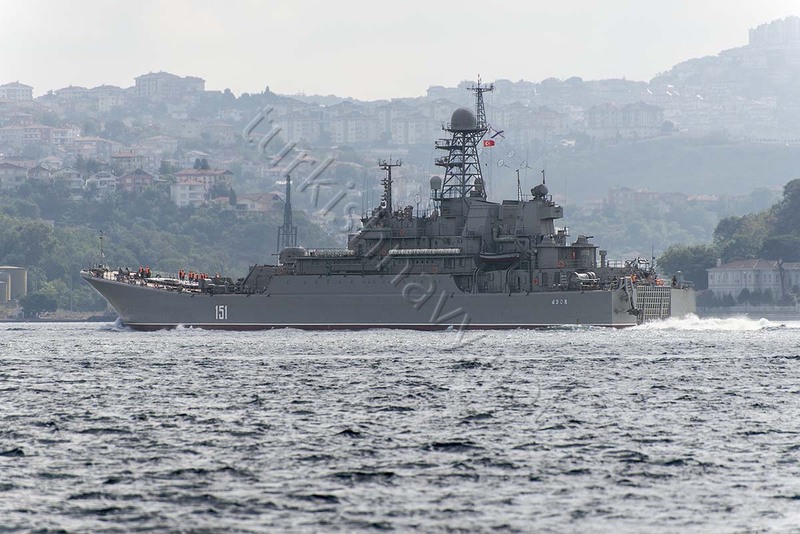 Ropucha class large landing ship Tsezar Kunikov making her northbound passage through Istanbul. 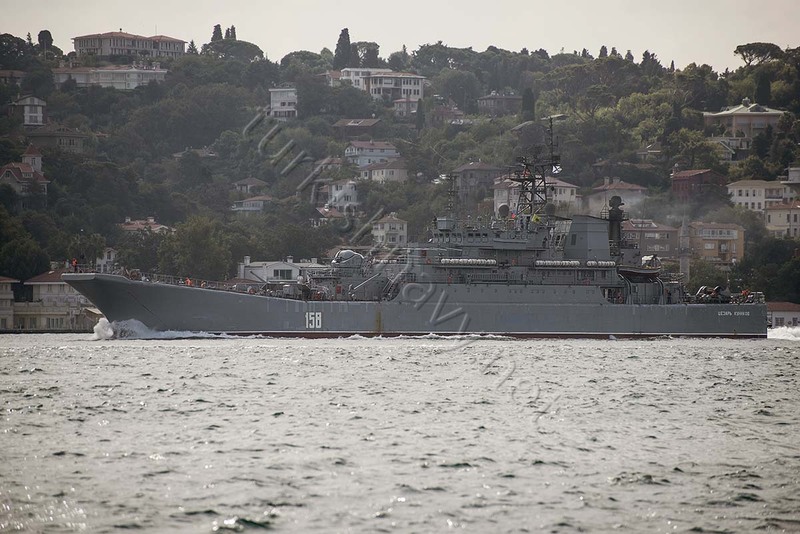 Ropucha class large landing ship Azov making her northbound passage through Istanbul. 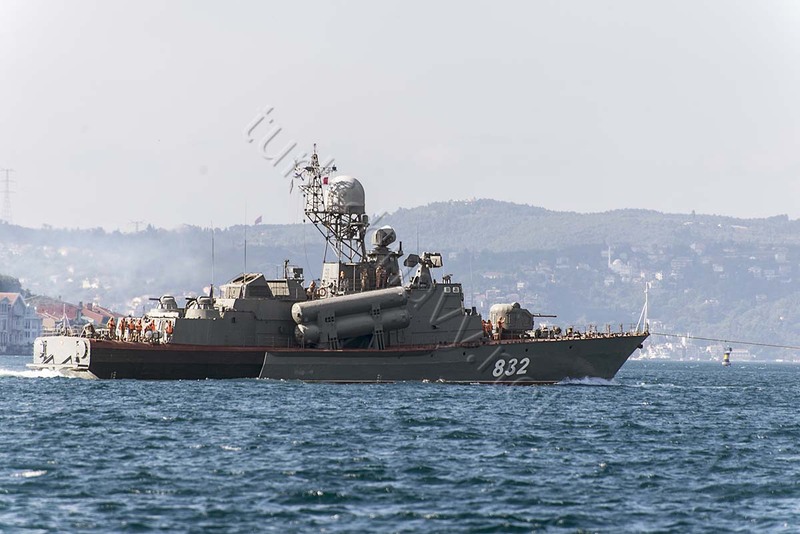 The flagship of the Russian Black Sea fleet, Slava class cruiser Mosvka returning from her deployment in the Mediterranean. Photo: Kerim Bozkurt. Used with permission. 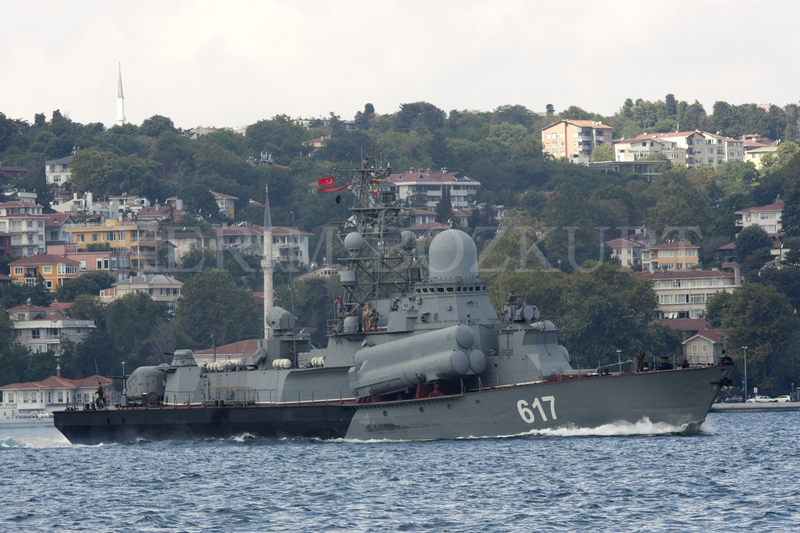 Slava class cruiser Mosvka returning from her deployment in the Mediterranean. Photo: Yörük Işık. Used with permission. This week we have witnessed the return of the Russian warships which took part in the joint Russian – Egyptian naval exercise. First the flagship of the Russian Black Sea Fleet the Slava class cruiser Moskva returned from her 76 day deployment in the Mediterranean. 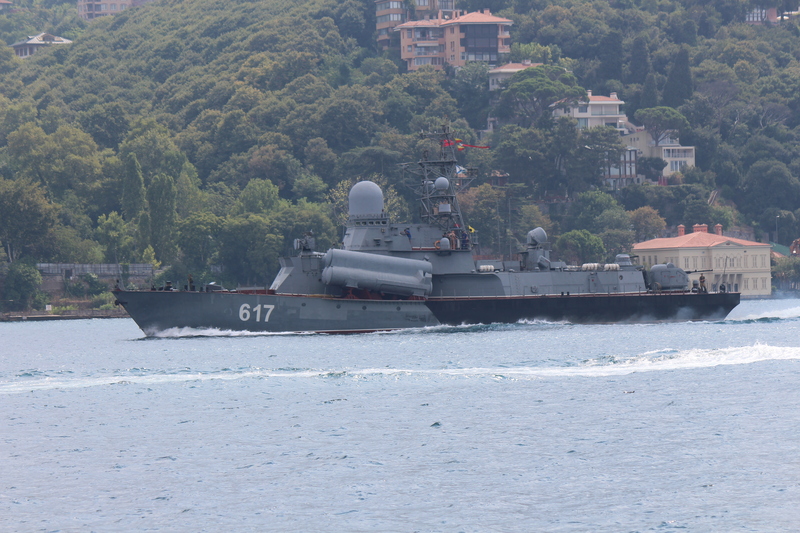 Two day later the Nanuchka class corvette Mizrah passed through the Turkish Straits northbound. These ships were followed by the tug Paradox towing the Tarantul class corvette R-32. 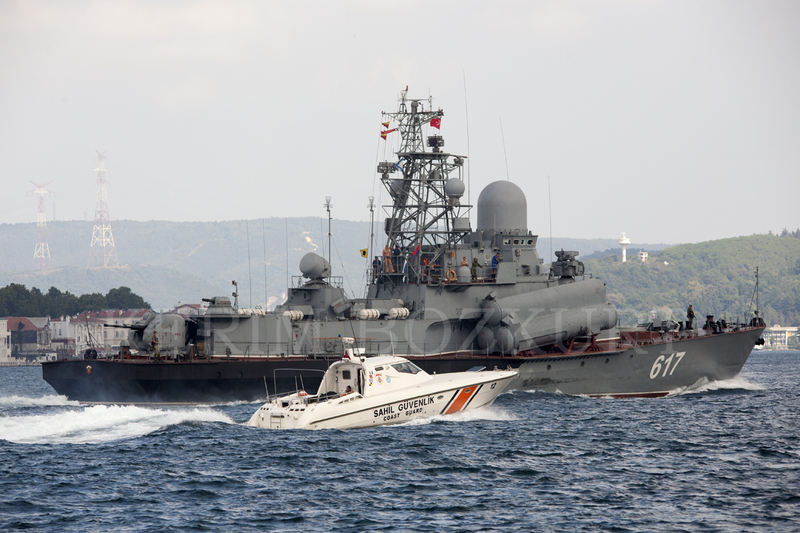 The R-32 made headlines when Russia handed her over to the Egyptian Navy on 10 August 2015. The ships of the Syrian Express deployment are also seen passing through Turkish Straits.